You can run multiple queries with this loan calculator tool. 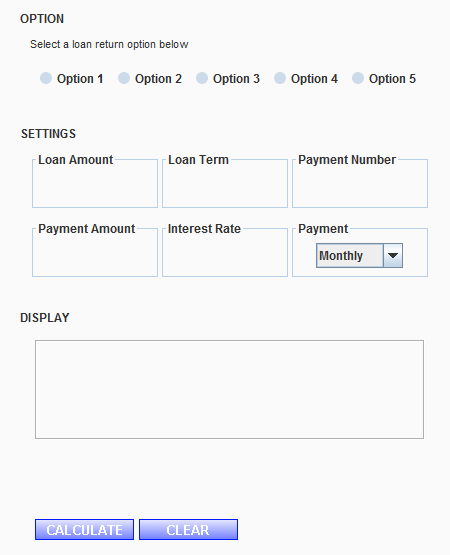 After filling the appropriate fields, click 'Calculate' to display the loan information. Loan Term - The duration period of the loan. Interest Rate - The interest rate of the loan. Payment Number - Number of times of the payment. Loan Amount - The total amount of the loan taken out. Payment Amount - The payment amount due every period. Pay Frequency - How often the payments are made.